How did Congolese footballer acquire Zambian NRC, passport? -If Dora Siliya’s toy Mubalama was arrested for a similar offence, why has the immigration only withdrawn the Congolese man’ s papers and let him go ? Registrar-general Mathews Nyirongo confirmed in an interview in Lusaka yesterday that since it has been established that Bwalya is from the Democratic Republic of Congo (DRC), he cannot be in possession of an NRC. “My officers have withdrawn his [Bwalya’s] NRC. Our colleagues at the Immigration Department have confirmed that Walter Bwalya is a Congolese and he cannot be in possession of an NRC,” Nyirongo said. Two weeks ago, former Lusaka Dynamos chief executive officer Simataa Simataa wrote to the Football Association of Zambia alleging that Bwalya is not eligible to feature in the Super Division because he does not possess an International Transfer Certificate. Simataa alleged Bwalya featured in DRC between 2011 and 2013 under the names Heriter Binene Sabwa. In midweek, DRC Super League side Lubumbashi Sports reported the matter of Bwalya’s nationality status to their provincial government. 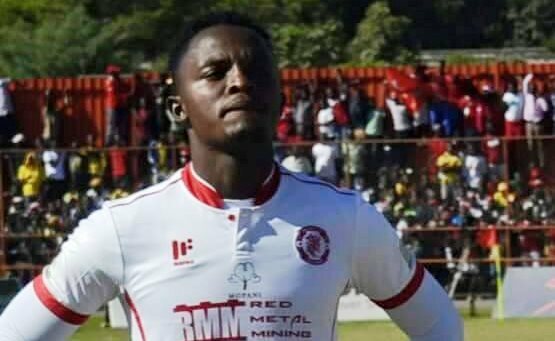 Haut-Katanga Sports Minister Serge Nkonde said the club wants Nkana to pay a transfer fee to them because Bwalya, who is still registered in DRC as a Lubumbashi Sports player under the names Binene Sabwa, was their player. Nkonde said the Congolese want to resolve the matter amicably but failure by Nkana and Bwalya to respect their wish would force them to report the matter to world football body FIFA. “This matter is now before my office because Lubumbashi Sports have complained to me. That player is Congolese and his club here did not clear him to start playing in Zambia. He just disappeared some years ago,” Nkonde said in a telephone interview. Bwalya, who claims to be Zambian, once played for the TP Mazembe Academy before moving to FC Corbaux in DRC and then finally Lubumbashi Sports. He then appeared at Forest Rangers, who later sold him to Nkana three years ago. “In his heart, he knows what the truth is because I have been investigating this issue in Congo. Let him and Nkana co-operate otherwise people risk being banned from football if we pursue this matter further,” he said. Former Forest Rangers team manager Peter Witola said Bwalya had a Zambian National Registration Card when he arrived at the Ndola-based club in 2013.